If you are planning on decorating your living room anytime soon, you might want to consider adding a focal point. This will be the part of the room that first catches people’s attention when they enter. Their eyes will be drawn to it, and your interior design skills will be shown off in all their glory. Not only that, though, but the focal point can also be the centre of attention when it comes to all the other decor in the room. It gives you a centre to focus all your attention on and to point all your furniture to. Don’t worry if you have never made a focal point before. They are incredibly easy to do. In fact, you don’t need much interior design experience to get started. Here are a few useful tips for you to get started. Some rooms, especially living rooms, might have been built with a focal point in mind. If yours has, it’s a good idea to work around this. For instance, fireplaces make excellent focal points. You might just want to spruce yours up with some new fireplace tiles or add a few pot plants on the hearth if you don’t use it to heat the room. There might also be some cool architecture features in the room that you could use as a focal point, such as an alcove or exposed brick wall. Don’t worry if you don’t have something in your living room that you can use as a starting point. 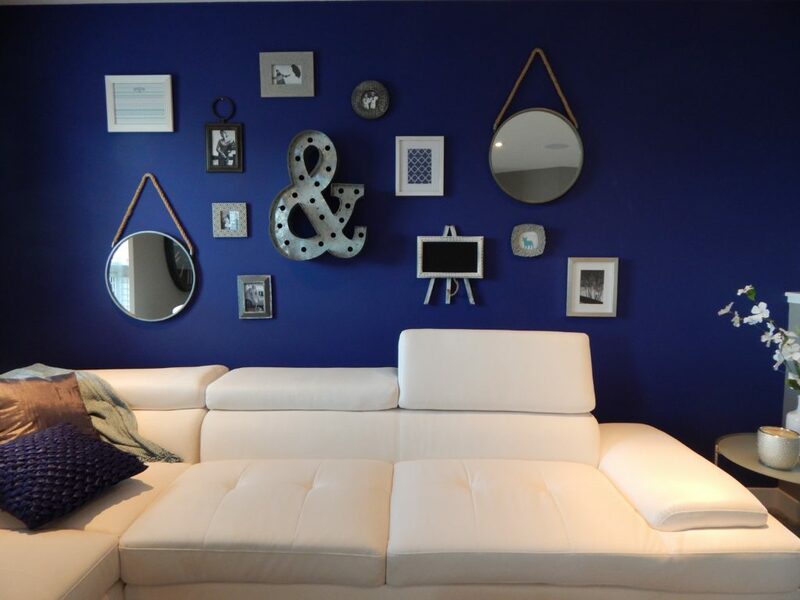 One neat idea is to make a focal point with an accent wall. This will be one of the main walls in the room, and you just need to ensure everyone’s attention is attracted to it straight away. One idea is to create a gallery wall. Alternatively, you might want to simply paint this wall a different colour to the other walls or use a bold wallpaper. Furniture is another great way you can create a focal point. Ideally, go for a single statement piece that will stand out from all the rest in the room. For example, you might want to add a large vintage armchair to the corner of your room. The key is to ensure that this statement furniture stands out and isn’t overshone by any other furnishings or decor touches in the room. One golden rule to keep in mind is that your focal point needs to be as simple as possible. If it is too busy, such as too many images and prints on a gallery wall, it will stand out for all the wrong reasons. The simpler it is, the more elegant and sophisticated it will look. In fact, minimalist focal points in a living room are usually the best. So, has this blog post convinced you to add a unique focal point to your living room? It will certainly add some chicness to your interiors, and will wow all of your future guests.